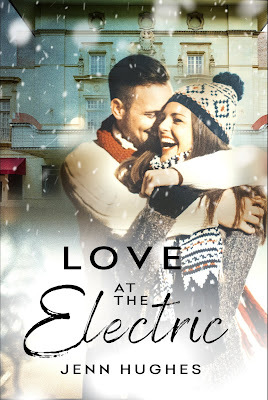 Fabulous and Brunette: Love at the Electric by Jenn Hughes - Book Tour - Book Review - Giveaway - Enter Daily! 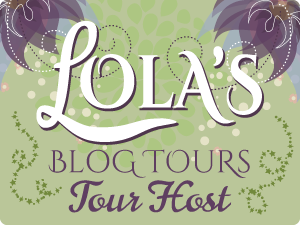 Love at the Electric by Jenn Hughes - Book Tour - Book Review - Giveaway - Enter Daily! Hi lovelies! It gives me great pleasure today to host Jenn Hughes and her new book, “Love at the Electric”! For other stops on her Goddess Fish Promotions Book Tour, please click on the banner above or any of the images in this post – except the Available at Amazon picture. Be sure to make it to the end of this post to enter to win a $50 Amazon or Barnes and Noble Gift Card!!! Also, come back daily to interact with Jenn and to increase your chances of winning! The lights dimmed, the terrible background music stopped, and the movie finally got started. Sam settled down into the soft leather chair, letting his head drop against the bulging seat back. He occasionally lolled his head to the left, stealing glances at Lillian during the bloodiest parts of the flick. She smiled at the most inappropriate times. Laughed when the werewolf Santa tore his elves to shreds. Rolled her eyes when Santa kidnapped the Queen of England. Near the end, Sam realized he’d lost track of the plot after watching Lillian more than the film. After the lights came up, Sam followed Lillian out of the auditorium, oddly anxious about saying goodnight. By the time they walked out of The Electric and into the bitterly cold night, Sam’s heart had decided to perform a thrash metal drum solo. “I’m heading back downtown,” he said, pointing to the left. “I’m that way,” Lillian said, nodding toward the opposite end of the street. He knew he needed to leave, but he didn’t move. The eager thumps of his heart started playing a beat he understood. Sam didn’t want to be anywhere else in the world other than standing in the falling snow at midnight with Lillian Walker. This book was such an exciting, fun, entertaining, romantic read! I liked the main characters, Sam and Lillian. They were realistic and genuine. I really liked Sam and Lillian together! They were so cute and silly together! They both brought a nerdy/geeky side to the relationship which made for adorable, witty banter and inside jokes; which only seemed to bring them even closer! Plus, it was quite obvious these two had chemistry as the passion just bounced off the pages!! Also, I enjoyed most of the supporting characters as they were very complementary to the main characters and plot. I found it interesting that this book focused on the love versus job issue since I think that is something that is happening more and more often these days – especially with millennials. As a millennial, many of us are putting education and jobs first, over settling down and starting a family – unlike as things were, even, say twenty years ago. I’ve had many chances to settle down and have a family, but that wasn’t something I was ready for at that time. Somedays, I’m happy I’ve waited, especially since my mom got so sick and I needed to be there full-time to take care of her. But then there are other days, that when she is so sick, and I don’t know how much time I have left with her, I wish I had started a family, so she could at least have met them. Now, these particular main characters, were already in their mid-thirty’s so not quite the millennial status for them, but still an interesting concept. It can be hard to decide which goal is more important – a high-status career or the love of a soulmate? I feel like the right answer should always be love – but it truly depends on what place you’re at in life and then if that love is for a person or a job. It seems like in today’s economy a job will always be available – perhaps not the exact same one, but similar enough. It’s that exact same person that won’t probably always be around, and who knows how similar the next guy/girl will be? Besides not only deciding to pursue this relationship, Sam and Lillian are having to deal with crazy exes and vengeful bosses that will stop at nothing to tear this relationship apart before it even gets started. This book has a great concept, mature, but likable and passionate characters, and silly, nerdy/geeky lines that make you LOL!! The writing style is fluid, well developed, and at a steady pace. There are some exciting twists and turns and unexpected moments that will keep you guessing! This book is Book One of A Port Bristol Novel Book Series. All in all, I really enjoyed reading this book and would absolutely recommend this book to all contemporary romance readers! Jenn Hughes writes romance with a heavy dose of humor. A lifelong love of all things sci-fi, combined with her day job in marketing, IT, and graphic design, infuses her writing with tech-centric and geeky references. When not reading and writing, she enjoys spending time with her family and gardening at her home in North Carolina. You might also find her gaming, repairing computers and electronics, experimenting with mixed media art, or finishing furniture. You can find her online at the links below. Jenn will be awarding a $50 Amazon or B/N GC to a randomly drawn winner via Rafflecopter during the tour. Hi Ally! Thank you so much for hosting me, and I'm so glad you enjoyed the book!